Sign up for the Raising Dairy Goats to the Uddermost email list! Welcome to the Upcoming Raising Dairy Goats to the Uddermost website! Embark on a journey learning about dairy goats on a real life farm! Shot in the Ozarks of Missouri, this professionally produced DVD will give any person practical knowledge to nurture these fun loving animals to the “uddermost.” From the amazing birth of a kid caught on camera, to building simple fences, preventing your goats from getting diseases, clipping hooves in real time, and more, you’re sure to find this 2+ hr. video fun, intriguing, and very educational. And as if that’s not enough, you’ll learn how to raise them in the most natural, ecological, and healthy way possible! 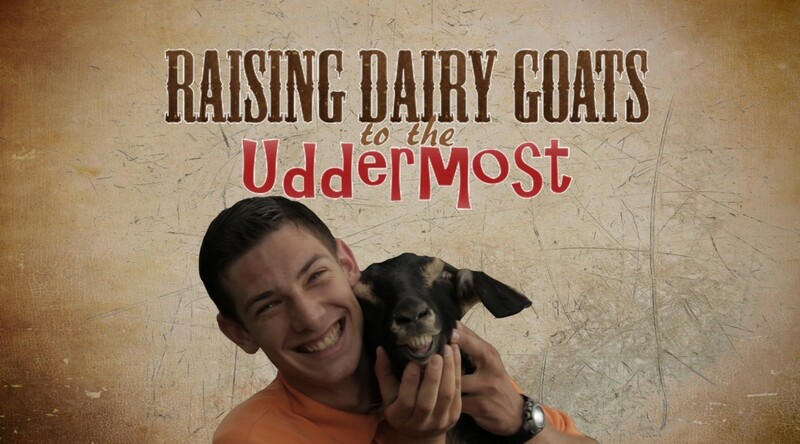 After you watch this, you will be ready to go out and raise your own dairy goats…to the Uddermost! It’s Here! Buy or Rent Raising Dairy Goats to the Uddermost NOW!! Mr WordPress on Welcome to the Upcoming Raising Dairy Goats to the Uddermost website!